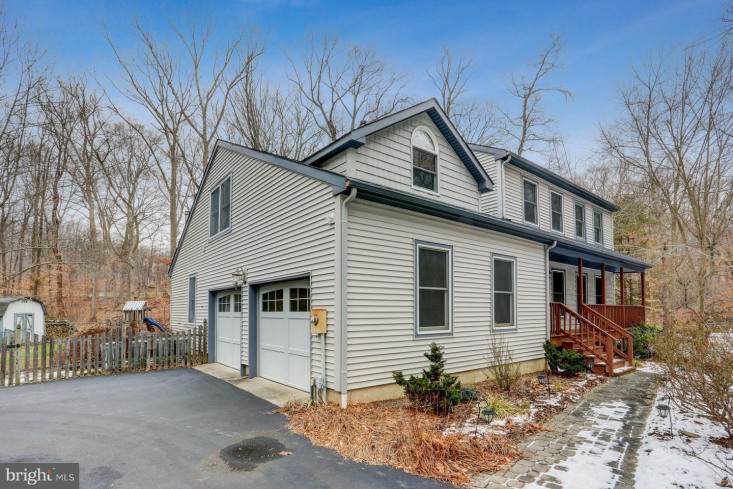 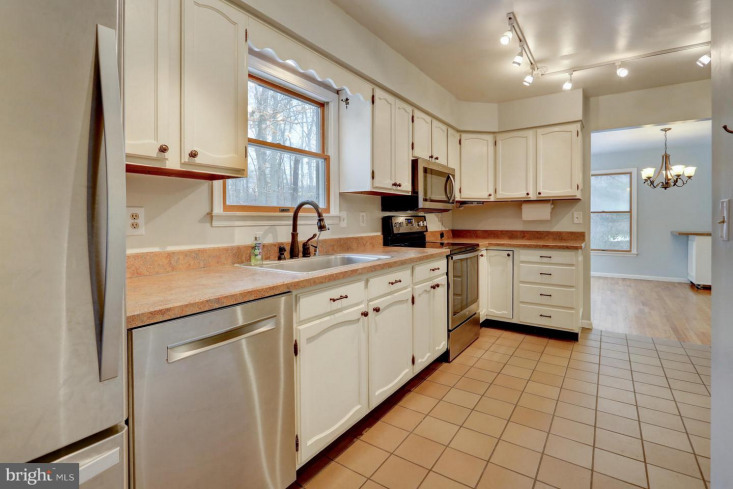 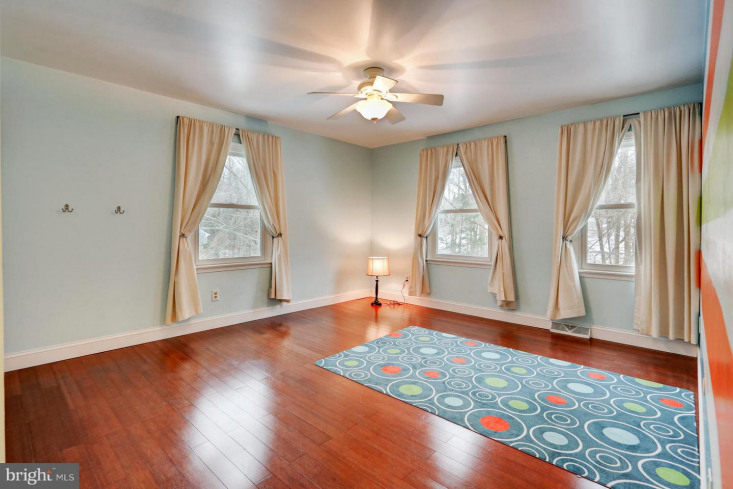 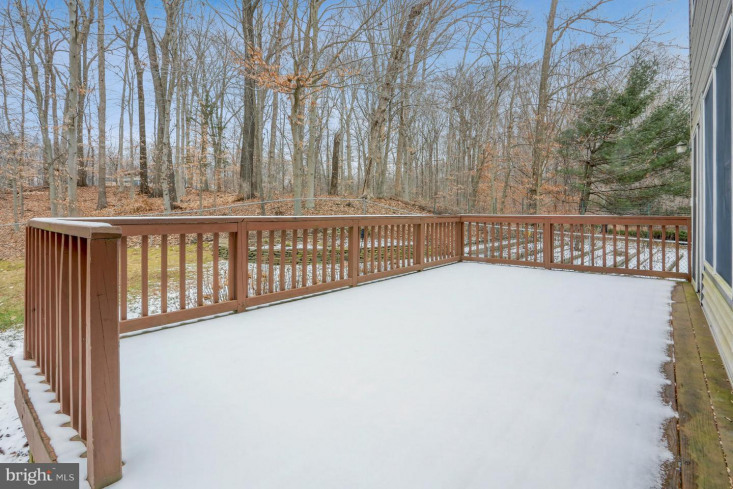 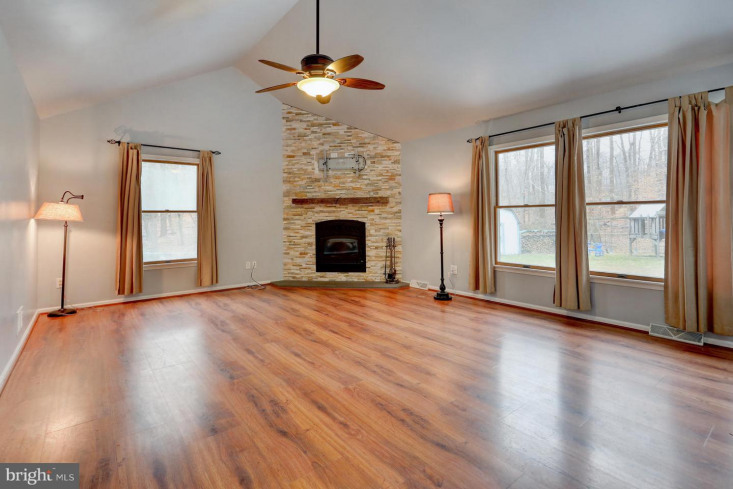 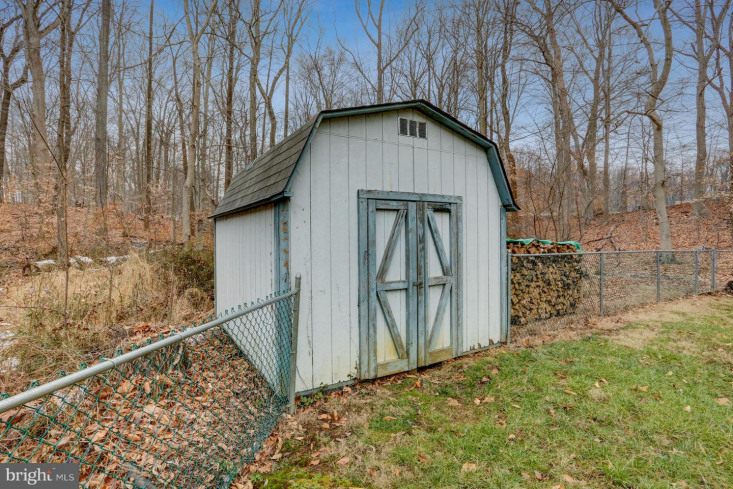 Welcome to this pristine, move-in ready home tucked into the scenic woods of North Hanover. 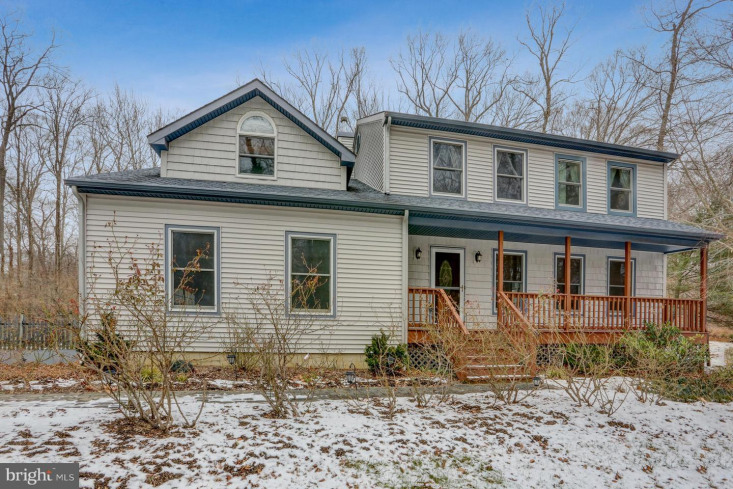 On almost a full acre of land, this home boasts a peaceful front porch, as well as an extensive two-tiered deck, playground space, and fenced-in yard. 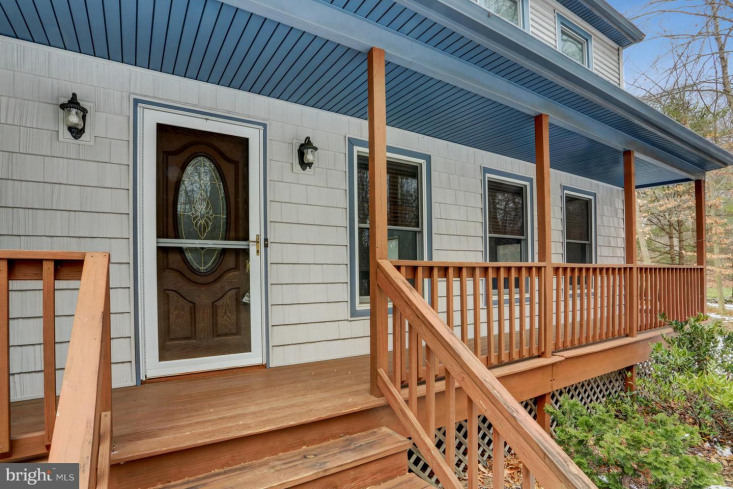 When you enter this updated two-story colonial home, you are met with natural hardwood floors and ceramic tiles. 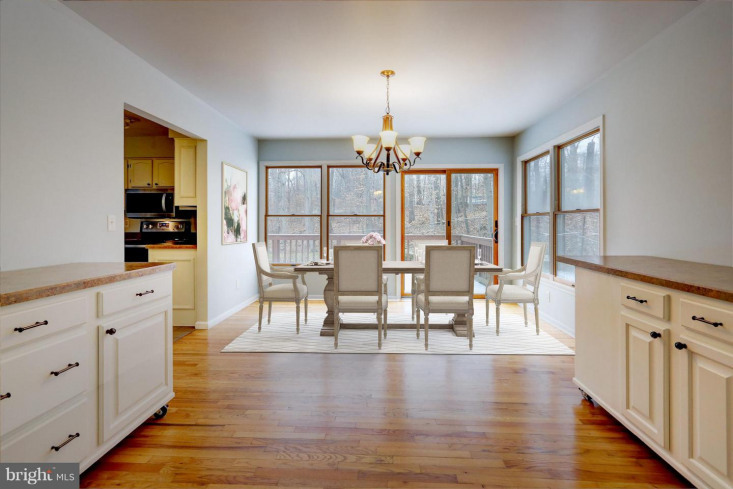 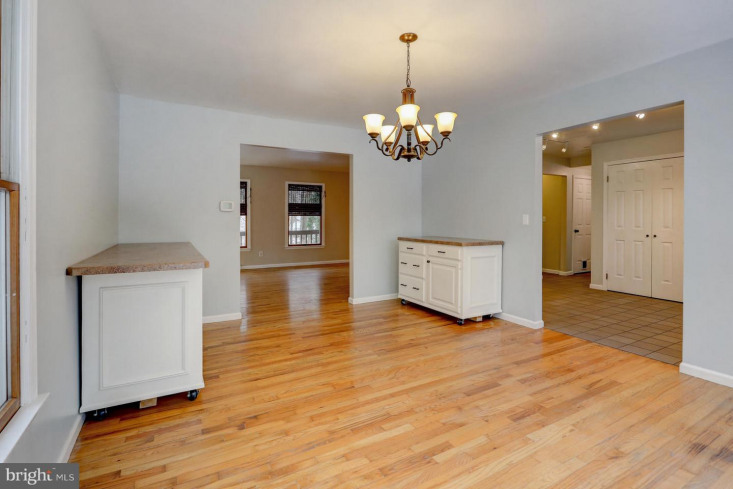 The open living room space leads into the formal dining room, both of which let in tons of natural light. 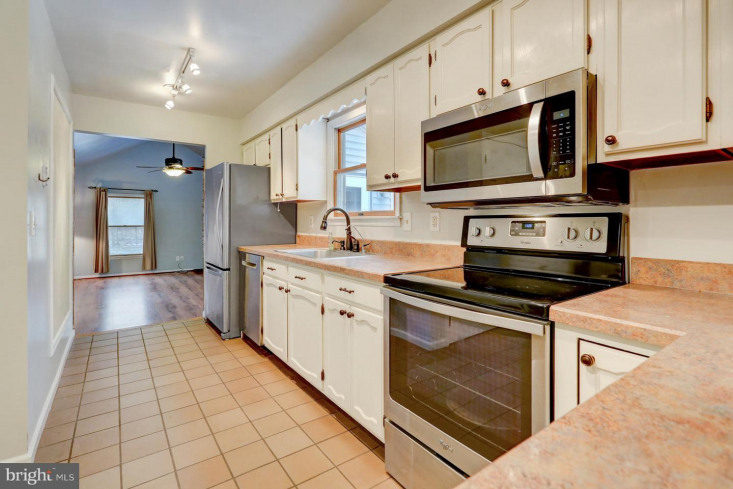 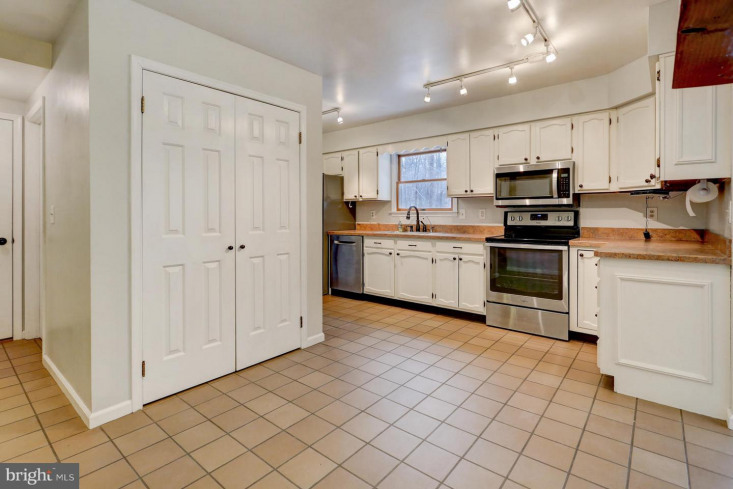 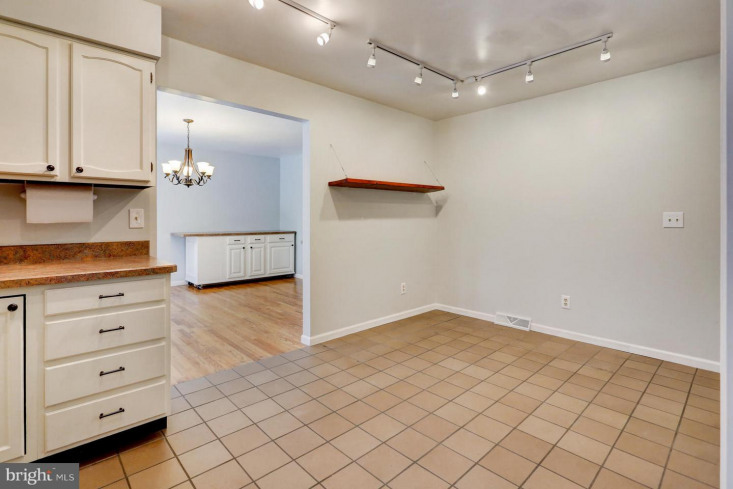 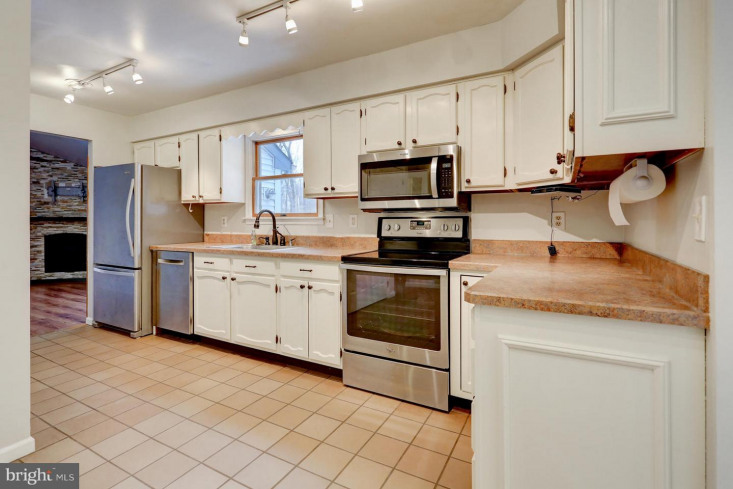 The kitchen has all brand new stainless steel appliances, electric cooking, and a cozy eat-in space. 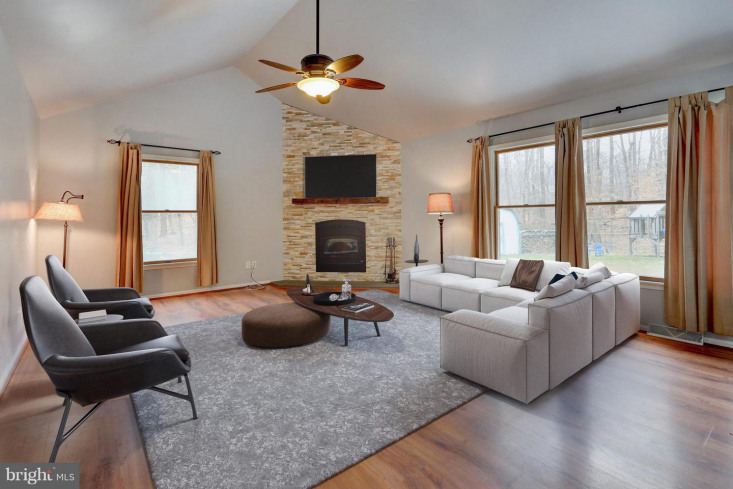 Through the kitchen you enter the vaulted family room with an elegant high-efficiency built-in wood-stove surrounded by sleek stacked stone. 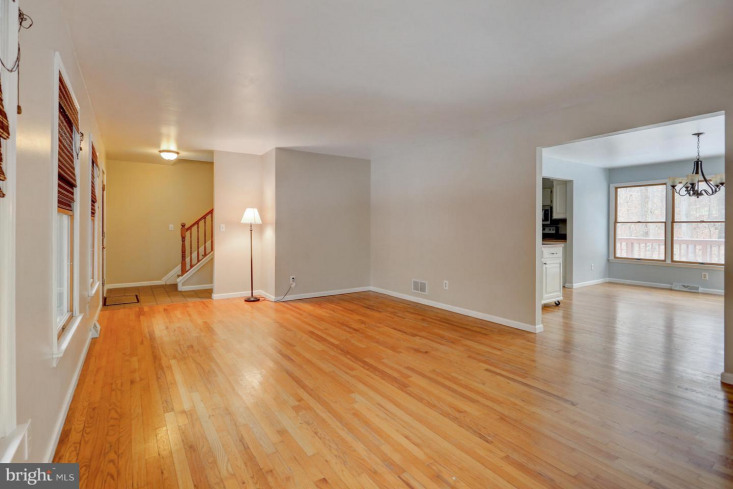 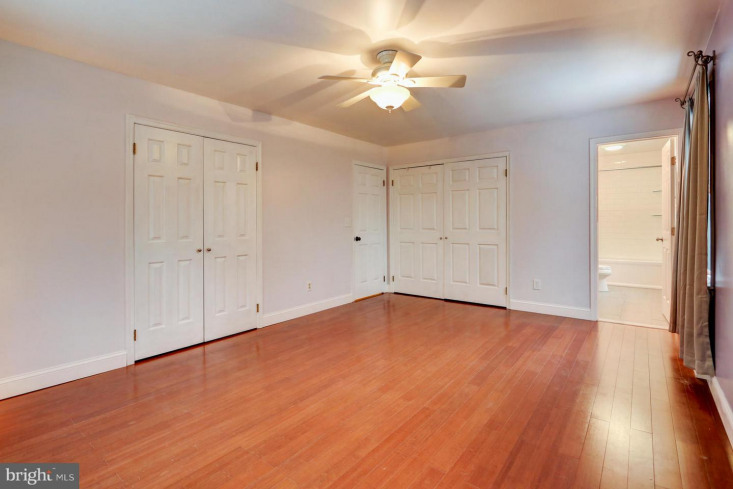 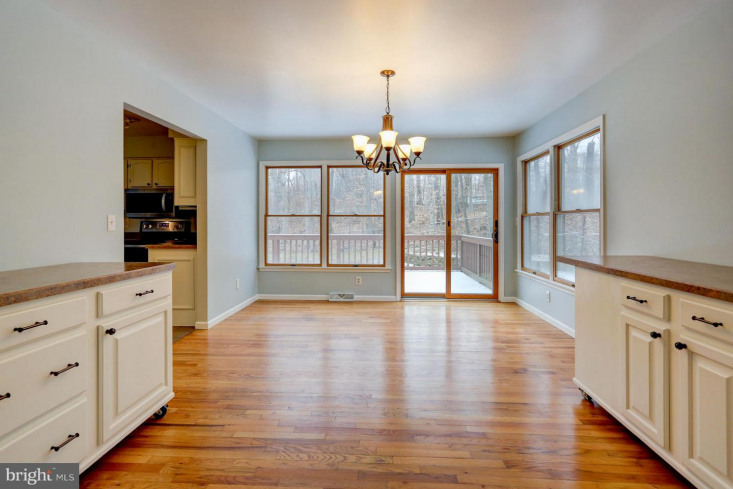 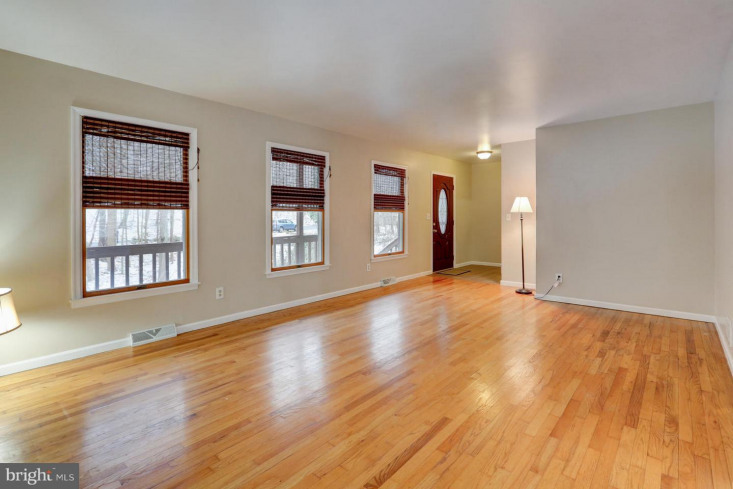 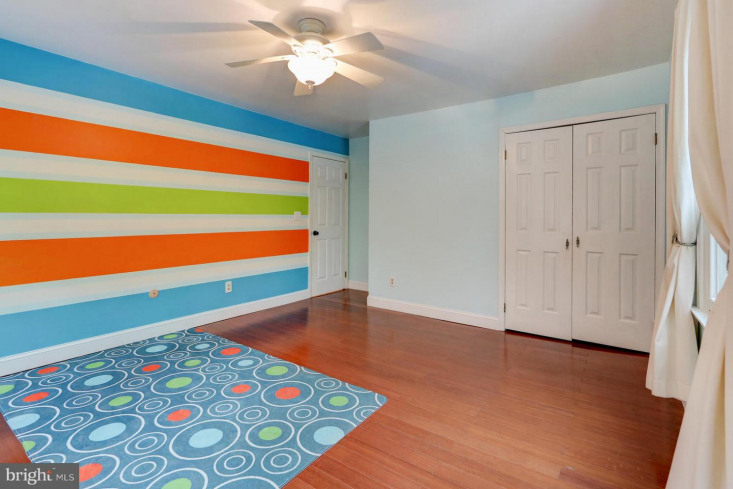 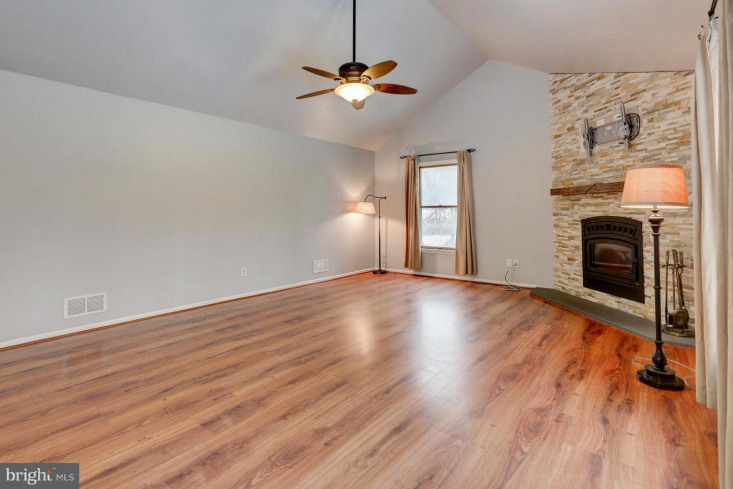 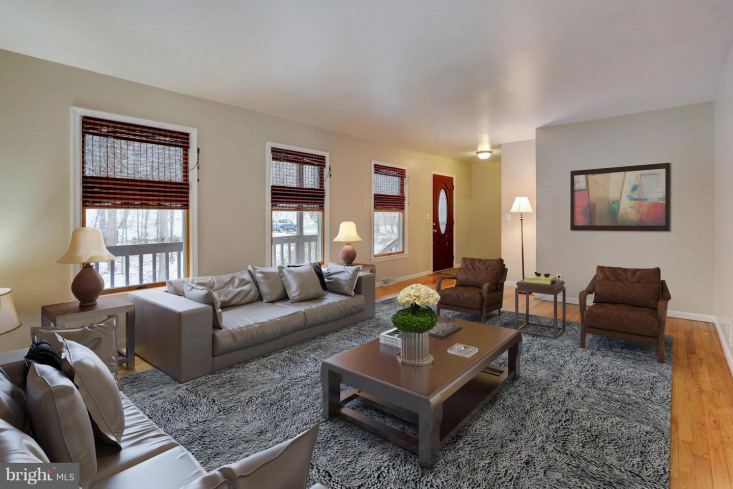 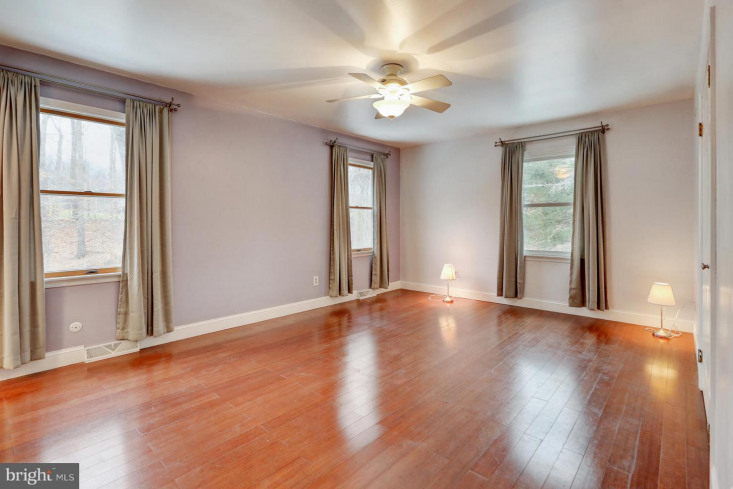 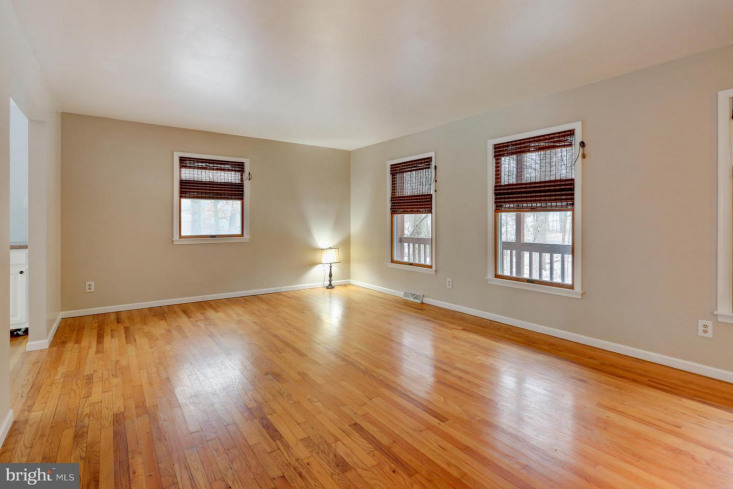 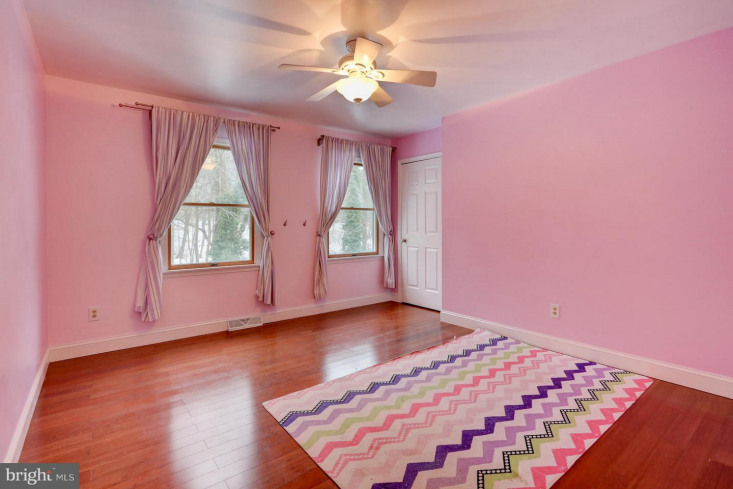 The family room has direct access to the back deck and is great for entertaining. 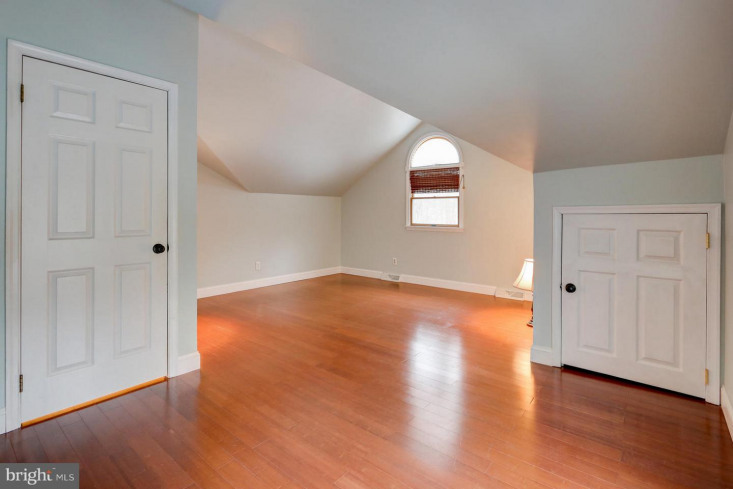 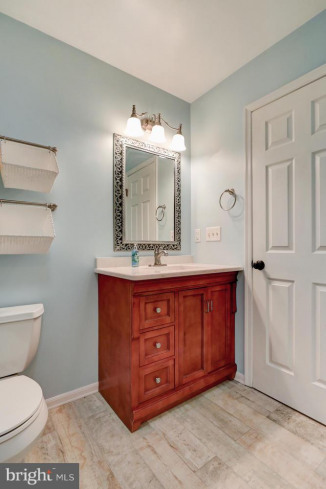 A renovated half-bath and convenient closet space round out the first floor. 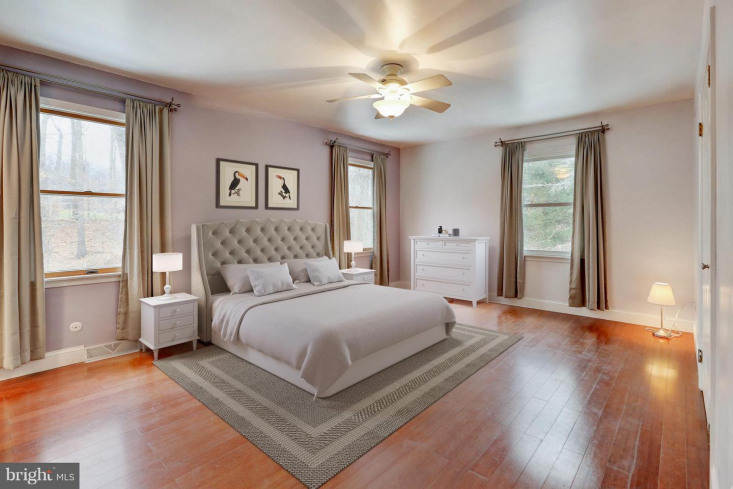 The second floor invites you to explore the three guest bedrooms and spacious master. 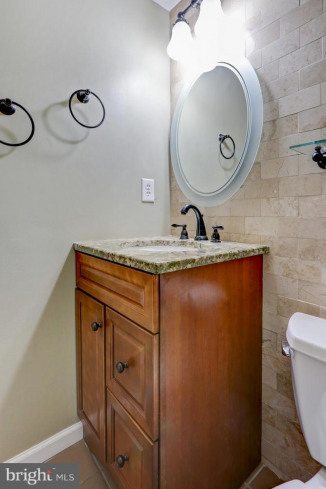 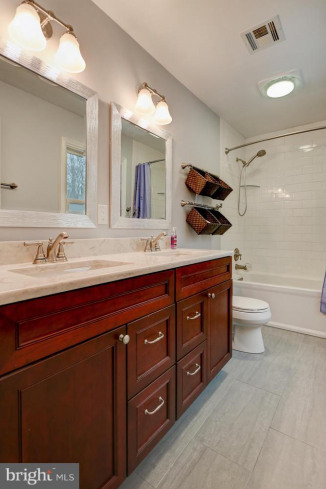 Both the full en-suite and guest bathroom have been artfully updated with decorative tile, new vanities, and custom flooring. 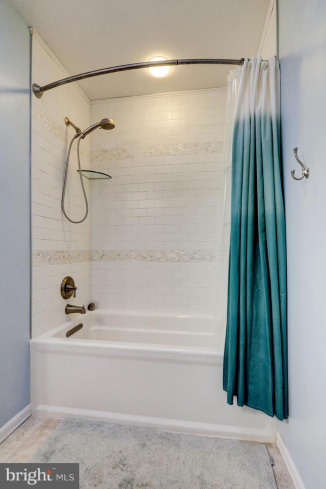 The laundry is also on the second level making numerous trips up and down the stairs obsolete. 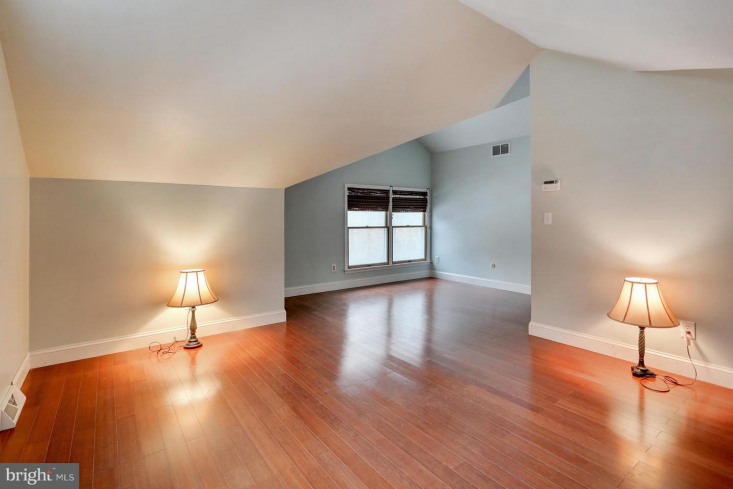 One special feature in the home is the sun tunnel skylights which bring in extra natural light to the already bright space. 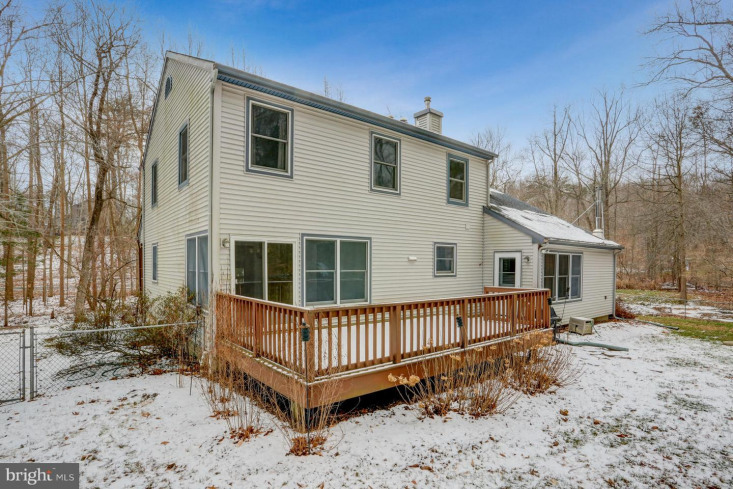  Additional features include a hookup for a backup generator, new siding, newer A/C system, heating system, and roof, a custom well-water treatment system, and spacious unfinished basement. 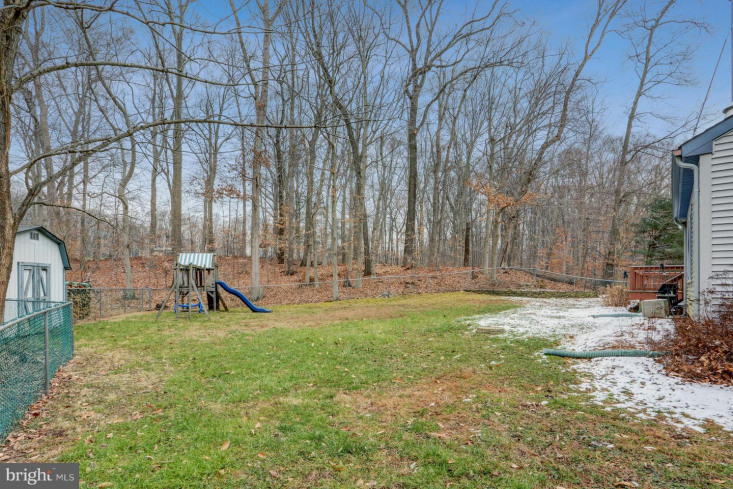 Don't forget to try out your green thumb in the numerous garden beds in the backyard. 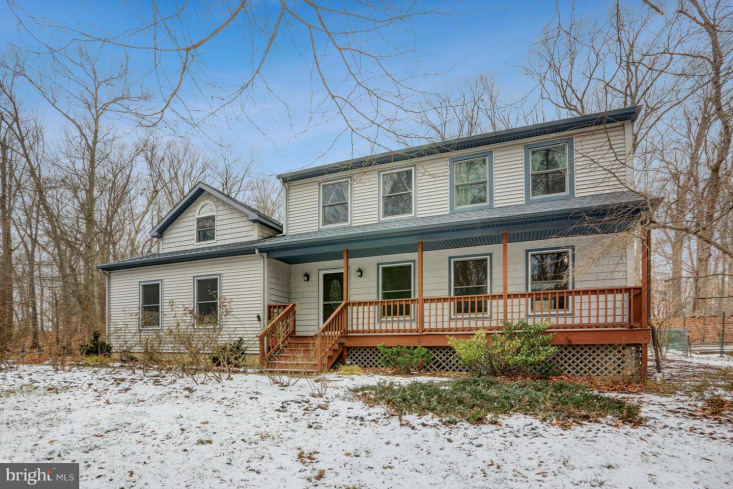 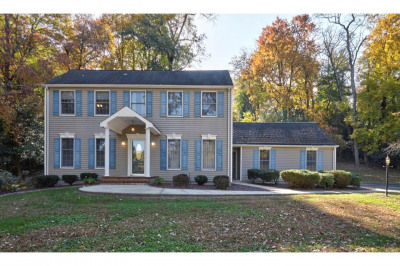 Being only a stone's throw from Hanover Golf Club, and with the North Hanover School District, this home checks off every box.